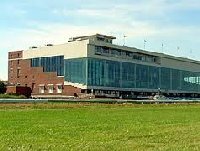 Ohio currently has two casinos and seven horse racing tracks which allow wagering on live races and simulcast. Gov. 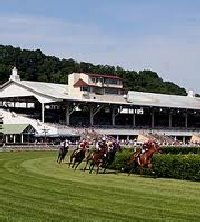 John Kasich has unveiled a plan to permit video slots at Ohio's seven race tracks, which would convert them into racinos. 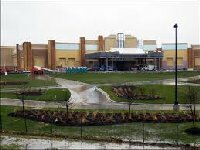 The $350 million dollar Horseshoe Casino is currently downtown Cleveland at the historic Higbee building and the Hollywood Casino in Toledo opened in April 2012. 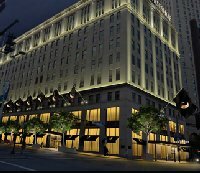 The $450 million dollar Horseshoe Casino in downtown Cincinnati is scheduled to open spring of 2013. For detailed information regarding hotels, entertainment, spas, golf packages, RV Parking or gambling games available click on the casino name. The casino pages have pictures, gaming details for slots, baccarat, blackjack, poker, craps, roulette and other table games. Call the Ohio office of tourism 1-800-BUCKEYE or visit the official state web site www.discoverohio.com for additional travel information. Find casinos near major U.S. cities.